The B09 Kestrel Blaze has all the features that a William Henry piece is known for: exceptional quality, versatility, and the signature William Henry design lines. The B09 Blaze is lightweight and easy to carry, coming it at just 1.3oz with a total length of 5.06". Despite its compact size and light weight, the B09 Blaze is solid and sturdy, making it the ideal folding knife for everyday use. 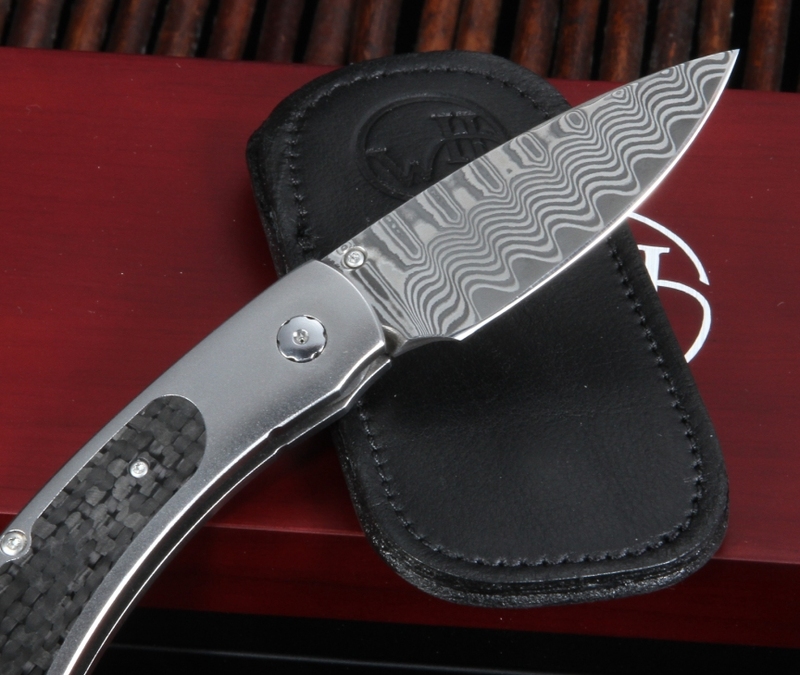 The B09 Blaze comes with a 2.06" Damascus steel blade emblazoned with a gorgeous decorative wave pattern. 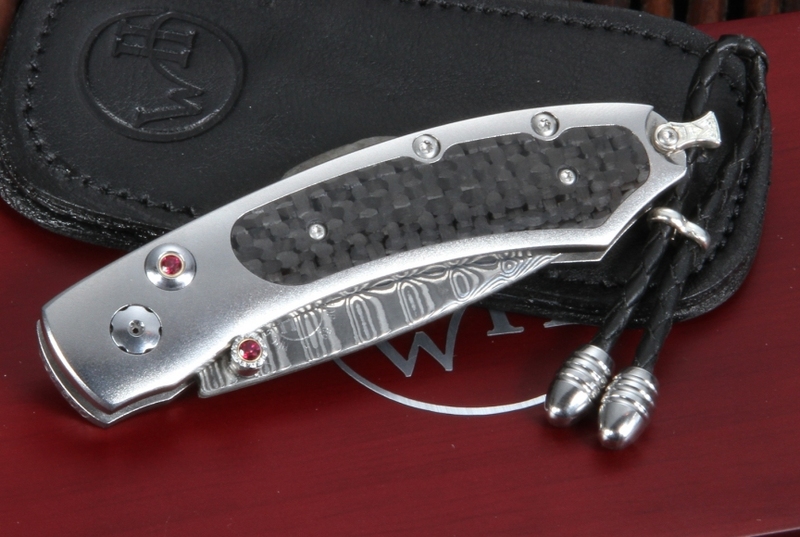 Featuring a high-performance edge, the ZPD-189, this knife offers precision and edge retention. Designed to be easy to open and easy on the eyes, the one-handed button lock and thumb stud are both inlaid with red topaz stones. With a aerospace grade titanium handle, the B09 Blaze is both lightweight and incredibly strong. The B09 Blaze is hand-forged using some of the most high-tech materials - this is a damascus folding knife that will last a lifetime. It comes with a black leather lanyard attached to a sterling silver bale. Each knife is individually numbered and is presented in a wooden box with a certificate of authenticity. 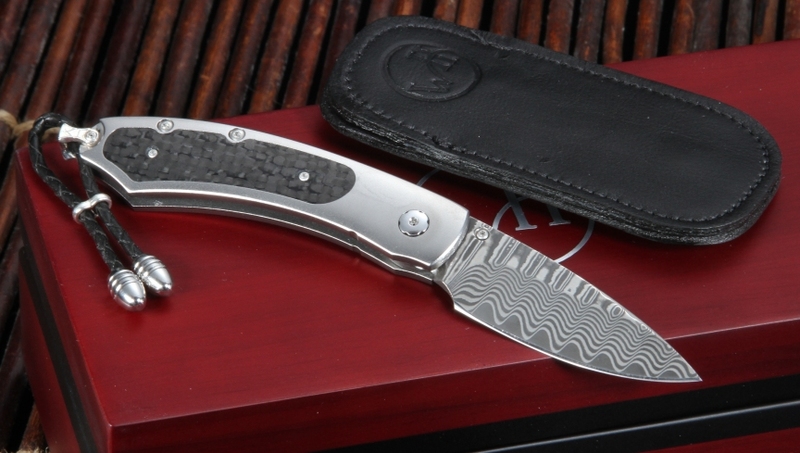 The B09 Blaze is a rare, limited edition piece - only 250 knives will be made. 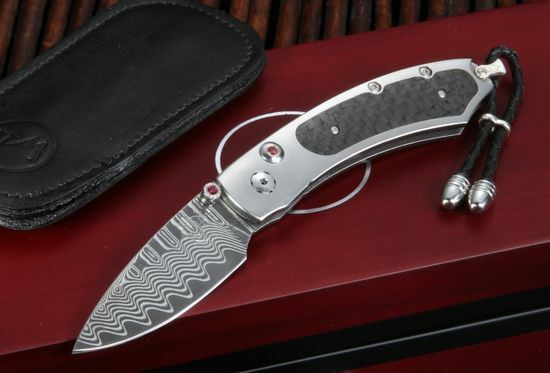 KnifeArt.com offers only the best quality knives from the most renowned manufacturers. Our selections are hand-curated by authorized dealers, and your satisfaction is guaranteed. When you order the B09 Kestrel Blaze, you'll enjoy free shipping anywhere in the U.S. 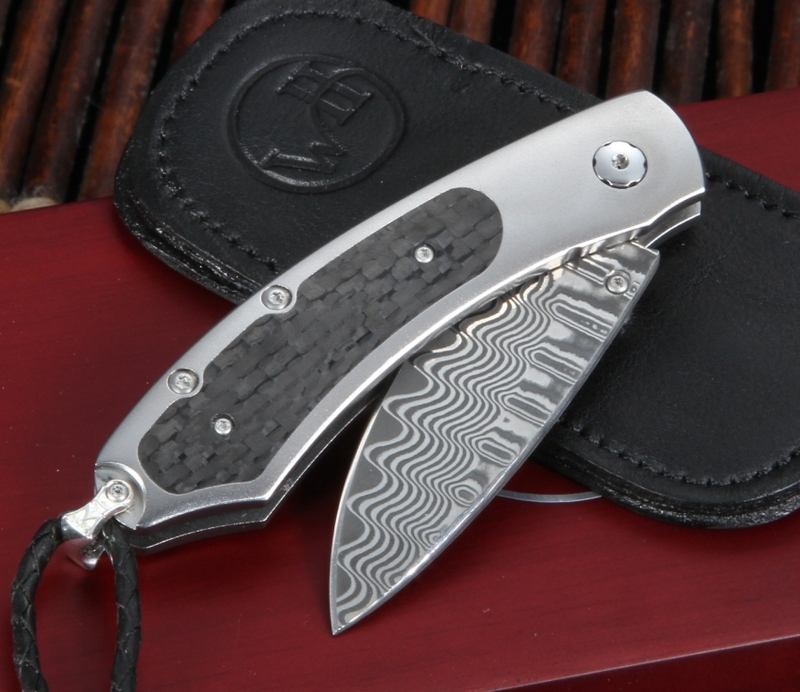 Contact us today to get this limited edition William Henry knife before they're gone. Super Webshop, excelente Auswahl, hat alles bestens geklappt. Lieferung in die Schweiz schon nach zweieinhalb Tagen! Thanks u bis äs anders mau!